As the controversy around universal credit continues, Jo Lofthouse looks at the contentious policy and explains what divorcing couples need to be aware of. As many of you will know universal credit is the benefit payment that was introduced in 2012 with a phased roll out. It was introduced in Harrogate during 2016 and was designed to replace several benefits and tax credits by providing one monthly payment. The new system has received heavy criticism, namely as its monthly payment often falls short of the combined sum of the previous benefits which has caused widespread issues for many families. The universal credit system continues to be means tested and many aspects of the assessment and payment remain unchanged, however there are some key changes which many separated or separating spouses should be aware of. In terms of the receipt of child maintenance, universal credit should have no impact as the payment received will not be affected by the receipt of child maintenance. However, if you receive spousal maintenance there are substantial changes. Under the previous system of tax credits any spousal maintenance payments were generally not considered when calculating a tax credit entitlement. However, the calculation of universal credit now takes into account any spousal maintenance received. This means that spousal maintenance will be deducted from monthly universal credit payments on a pound for pound basis. So, simply put if you were assessed as being due £700 of universal credit per month and you received spousal maintenance of £400 per month, under the previous rules you would receive a total of £1,100 per month. Now however, you would receive a total of £700 per month, (£400 per month in maintenance and £300 for universal credit) so, a significant reduction. It is this significant change that can have important implications for financial settlements in divorce proceedings. It will need to be decided whether it is appropriate or affordable for a former spouse to bridge the gap created as a result of the introduction of universal credit. Likewise, in respect of financial settlements made prior to the introduction of universal credit, in certain limited circumstances the settlement might need to be revisited to consider if and to what level spousal maintenance is paid to account for any shortfalls. However, it must be noted that for the majority of financial orders they will not be able to be reviewed. 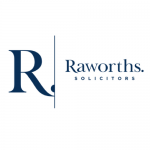 If you are concerned about the impact universal credit might have on you, then further advice or information is available from Jo Lofthouse at Raworths Solicitors 01423 566666.